When biographer and historian Nat Segaloff sat down to interview science fiction Grand Master Harlan Ellison for his new book A Lit Fuse, he knew that he was in for a challenge. What surprised him about the process was how much it wasn’t just about Ellison, but also about him. How do you write something new about someone everybody thinks they already know? A writer who is famous for putting so much of his life into his stories that his fans feel that even his most bizarre work is autobiographical? 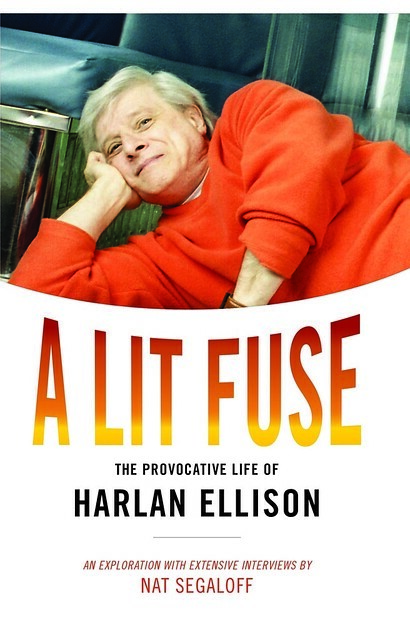 That was the unspoken challenge in late 2013 when I agreed to write Harlan Ellison’s biography, an adventure that is just now seeing daylight with the publican of A Lit Fuse: The Provocative Life of Harlan Ellison. 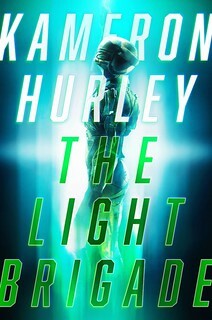 I wrote the book because Harlan wouldn’t. 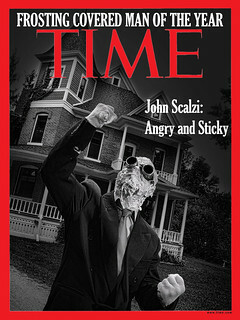 He came close in 2008 when he announced he would write Working Without a Net for “a major publisher,” but he never did. Maybe he figured he’d said enough in his 1700 short stories, essays, and articles he’s published over the last 60 years. It wasn’t as if he was afraid of the truth; he always said he never lies about himself because that way nobody can hold anything against him. That was my challenge. When we shook hands and I became his biographer, I also became the only person he ever gave permission to quote from his work and take a tour of his life. What I really wanted to do, though, was to explore his mind. What I didn’t expect was that, as I examined his creative process, I would also bare my own. When you sit down with someone for a conversation, it’s fun; when you sit down with someone for an interview, it’s serious. Harlan has been interviewed countless times and he has always been in control. This time, I was. I had to get him to say stuff that was new, and I had to go beyond where others had stopped. A Harlan Ellison interview is a performance. He will be quotable, precise, vague, and outrageous. He takes no prisoners. He will run and fetch a comic book, figurine, photograph, or book to illustrate a point, all of which breaks the mood. My job was to get him to sit still and not be “Harlan Ellison” but simply Harlan. Even though I had final cut, I ran whole sections past him to get his reaction. He never flinched. In fact, he challenged me to go deeper. It was almost as if – and don’t take this the wrong way – I was Clarice Starling and he was Hannibal Lecter — the more I asked of Harlan, the more I had to give of myself. Both of us put our blood in the book even though I am the author. Well hell yes I requested this from the library. I guess I’d like to know more about the book’s contents, versus the author’s process and relationship with the subject. Does the book cover HE’s personal life, too, or mostly his working life? Are there any revelations for those of us who have followed HE’s career for decades? Any new analyses? Any interesting stuff about the publishing world in general, or other writers who crossed path with HE? I’ll probably wait for the eBook version, but I did get a chuckle/groan out of the some of the punny chapter names listed on the NESFA Press page. @Jim C. – NESFA may never produce an ebook version; they are a small, fan-run press that uses all-volunteer labor and don’t have the financial clout to get ebook contracts. They specialize in high-quality, small print run, marginal books (mostly of dead, forgotten authors). As someone with a book published by NESFA press, Lisa, I’m not sure I like what this means for me! Chapter 15 will get my attention. Have followed Mr. Ellison since his career on the edge of forever, over the glass teats, numerous shorts and novellas, through two dangerous visions, and would dearly love to add the final dangerous vision to my shelf before he dies. I hope Mr Ellison was able to get his Chardon Maple Syrup from Richards. I never did get a response from his assistant about the recommendation. Harlan and I had been corresponding for some time—this was back in the late 1970s—when my travels on the way to a convention took me through Los Angeles. I arrived at LAX only to find that my connecting flight had been cancelled, and I had seven or eight hours to kill in one of the world’s most boring places. I decided to call Harlan, just to talk for a while. “Hop in a cab! I’ll pay for it! Come see me!” (Harlan always speaks in italics, usually with an exclamation point.) I had to explain that I was dirt poor, didn’t have enough cash on me for a cab. “Rent a car!” he said. “I’ll pay for it! Come see me!” I had to tell him that I didn’t have a credit card. “No problem, here’s my Hertz number, go to the desk and they’ll give you a car!” I did, and they wouldn’t. No way, no how. They had to have the card in hand. No exceptions, never, never, never. I called Harlan back. By now he was seeing this as a challenge, almost an insult, and you do not insult Harlan Ellison. “Go wait by the Hertz desk,” he said. About half an hour later a slightly dazed looking supervisor beckoned me over. (Harlan has that effect on people.) I’ll never know what charms, threats, bluster, or magical spells he used on the poor woman; I don’t want to know. And this was on the phone, mind you, where he could only use a fraction of the sheer force of will available to him. Here, take the car! Just take it! So I signed the papers, took the car, drove to Harlan’s fantastic house in the hills of Sherman Oaks, and spent a pleasant several hours being shown around, dining on ribs from a joint down in the Valley. Then back to the airport and on to Phoenix on the late flight. That’s my favorite Harlan Ellison story. I have others. There are many more Harlan stories in this excellent little movie, filmed over the course of almost 30 years. Absolutely a must see movie! Buy it! If you can’t afford to, rent it! The page for the book on the NEFSA site says, “Paperback and ebook editions are planned for 2018.” It’s at the bottom of the blue box on the right hand side of the page. “A Harlan Ellison interview is a performance. He will be quotable, precise, vague, and outrageous. He takes no prisoners.” Abso-damn-lutely right. I had the fortune of interviewing him 5 or 6 years ago. He’d seen something I wrote about one of his books online, liked it, tracked me down, called me, and just chatted for 45 minutes. What this really doesn’t capture, though, is just the grandeur of the man. He agreed to be interviewed. I faxed him questions. Over the next two days we spent SIX HOURS on the phone. He was gracious, hilarious, massively intelligent, interesting, and just overwhelming. To talk to him is like what it must have been like to be in a room with Goethe or Plato: the guy knows nearly everything about everything, but he’s not pushy about it. Also, if he likes you, you *WILL* know it. After the interview, we had a fairly lengthy correspondence (He doesn’t do email. He sends letters typed on the back of postcard-sized bits he cut out of cereal boxes and shoe boxes and what have you) and sometimes he just calls you up out of nowhere to talk about movies. People say he’s quick to anger, and that’s true, but the thing nobody ever mentions – and the thing that I really took away from my brief friendship with him – was that he’s actually really easy to please. Great guy. I’m very much looking forward to reading this book. People who labor in the field of words, like Connie Willis? After that not-quite “fiercely defends” incident, I stopped reading any of stuff. That, right there? That’s one of the biggest problems I have with humans (and, to be honest, one of the biggest problems they have with me). My thoughts are running along the lines of Sylvia Mcivers above. Does the book “go deeper” on his assault on Connie Willis? Or does that kind of thing not matter because he’s such a great guy? Boys will be boys, har har. I guess I know the answer to that for society at large, but I expect better here.